HOUSTON - The King of Country outdid himself Sunday night, breaking an all-time attendance record at NRG Stadium in Houston for the Houston Rodeo. 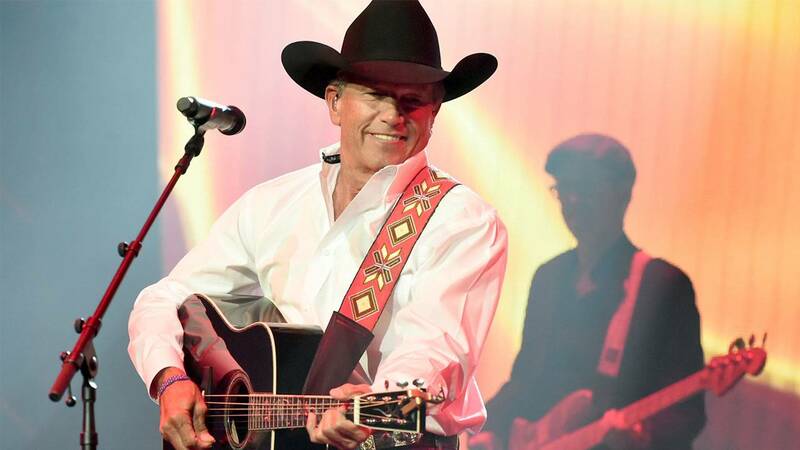 George Strait, who was joined by Lyle Lovett and Robert Earl Keen, performed in front of 80,108 fans Sunday, closing out the 2019 Houston Stock Show and Rodeo. Strait broke a 2013 record of 80,020 concert attendees, which he, Martina McBride and the Randy Rogers Band previously held. According to the RodeoHouston website, which tracks attendance records, Strait's Sunday feat is the all-time record for NRG Stadium. The designation is separate from the Paid Rodeo/Concert attendance records, as Strait's concert-only performance allowed for more floor seats at the stadium. Strait's record-breaking performance Sunday marked his 30th performance at the Houston Rodeo since 1984, according to Click2Houston.